Choosing a new career can be a little daunting, to say the least, but there’s also nothing more exciting! 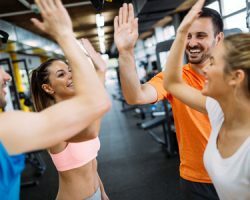 We’ve had plenty of experience in understanding the ins and outs of health and fitness careers, so we’ve chosen our 6 favourite reasons why it’s a fantastic option for a career change in 2019 and beyond! As a health & fitness professional, you’re spending your days helping people better themselves. Not only are you improving someone’s physical health, but you’re also improving someone’s self-confidence and helping achieve things they never thought possible. You get to see and be responsible for these changes first-hand and that’s a pretty amazing thing! Plan for long-term success by starting a career in an industry with consistent year on year growth. Both the health & fitness industries are showing no signs of slowing down, for a number of reasons. 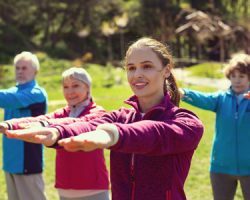 One of the strongest contributors is the aging population which will boost demand for services within both the health industry & fitness industry. Another promising indicator is the increase in health consciousness of Australians, who are looking at how they can improve their health and wellbeing. Whether you’re wanting to become an Allied Health Assistant, Personal Trainer or Weight Loss Coach, industry job growth in all of these industries is strong to very strong. 3.There are so many options for your career! Another unique benefit of the health & fitness industry the range of pathways you can follow with your career. You can follow your passion to an area of speciality, not only boosting your desirability within your chosen career, but allowing you to cater to specific clientele (e.g.older adults). Whether you’re wanting to own your own personal training business or explore the many roles within the allied health sector, you can take your career in so many directions. With so many choices it can almost be overwhelming, but our team of career advisors can help you learn more about these options to make sure you’re studies will help you achieve your goals. .
4. You’re not in a 9-5 anymore! Sick of sitting at a desk or the monotony of a 9-5? You’ll love the variety that comes with health & fitness careers! You’ll get to move around, and will have the flexibility of a schedule that suits you! With Personal Training & Weight Loss Coaching in particular, you can schedule your sessions around you. Of course, you’ll need to choose times that suit your clients, but ultimately you’re in control. Whether it’s a specific event you want to be free for or you want to be able to pick the kids up from school every day, you get to decide your schedule. While your salary can differ depending on your specific career choice, the health and fitness industry provides great high earning opportunity! While starting out will never be the most lucrative time, as you continue with your chosen career path, further develop your skills & experience, your salary can increase to reflect your expertise. All of our qualifications are fantastic stepping stones for with opportunities for advancement, both in relation to careers and education. 6. You’re following your passion! No matter what the other benefits are, your passion is the most important factor for choosing your career. If health, fitness & helping people are passions of yours, you’ll love your career and best of all, this passion will drive you to succeed and become the best health & fitness professional you can. Just think by the end of 2019, you could be living your passion! Salary information: All salary ranges are from Payscale, with links above for you to access this information. All information was accurate at time of article publication. Where jobs are not exact matches, job areas have been used. This information is to be used as a guide only.